„Ask Dr. Bernd "- not just a dictum, which my colleagues in OLS sometimes laugh on. 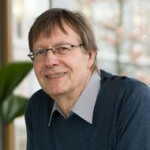 Ask Dr. Bernd in fact reflects a common thing the daily life at OLS: Be it a question on cell counting or determination of vitality, a lack of clarity about some weird technical detail of the CASY, all such is no big effort - we have the Dr. Bernd Glauner "in da house". Well, sure – if you want you can call me a luminary: Finally, I was part of the CASY even before its first installation back in 1988 (quite a long time ago). The CASY lived ever since through a checkered history - in an ever changing environment I stood faithful to it, and now we arrived together at OLS OMNI Life Science. From this "everlasting change" we came to the idea of this blog: Why not use my years of experience and bundled them up with the centuries of experience from our users, and make all that available to our customers? So, please do not hesitate to ask - any question from one user surely helps others who are looking for answers – and – it could possibly even help my colleagues ...? How CASY detects the volume of non-round shaped cells – one of the questions asked frequently. CASY measures the current between two electrodes that are separated by a defined capillary. Viable cells have an intact cell membrane that excludes current from passing the cells. When a cell passes the capillary during measurement, CASY detects the increased resistance provided by each cell. Each Peak is detected as a cell count. In case of a rod shaped bacteria for example, the amplitude of the Peak size may vary depending on the orientation of the cells when they pass the pore. The puls field however is the same, independent of the orientation. To guarantee the precision, each CASY, in combination with its capillaries are calibrated during manufacturing. We use a set of certified particles covering the full size range making sure the precision of size detection is in a range of max +/- 2%. This calibration is valid for the life time of the instrument. can you also magnetic beads with the CASY TT (Diameter ca. 0,7 µm) measure? Hi Wenke, in fact we did not test this yet. According to size, the particles should be in measuring range, if you use a 45µm capillary. However, CASY principle relies on the properties of an organic cell as an insulator. If the magnetic beads are conductive, I unfortunately see little chance , that a measurement will be successful. As soon as we have more knowledge about this I'll get back to you. Happy New Year 2018. Can I able to determine cell number (Live or dead or both) of Microalgae (Euglena gracilis) using CASY? Do you have any comparable data between Hemocytometer and CASY? Any correlation curve between OD vs cell number? in general, CASY is much more accurate compared to Hemocytometer or OD. So, the reproducibility of results is much better. There are quite some groups using CASY for algae characterization and the linked application notes may be of your interest: monitoring algae growth and ecotoxicity assays using CASY. I want to measure small cell counts in a human cell line from a Migrationsassay with the Casy, After I have suspended all my existing cells in 200ul and gave this entire 200ul in the 10 ml Casyton, partially not overtakes the Casy 700 Counts, for an accurate measurement are but ca. 2000-7000 Counts required, I think? I've already pooled cells. Can I use for example only 5 ml Casyton for measurement, or are there other possibilities, This small cell counts to measure as accurately as possible? You are right, optimal is a measurements in the range of 2.000 to 10.000 counts. To achieve a high reproducibility of the measured values, we recommend, to set the conditions of measurement , that at least 1.000 counts are reached. Counting less, variation of the results in the range of 10% cannot be avoided. With a relatively low initial concentration, as in your case , one should use the maximum amount of samples recommended – as already done by you – of 200 µl. If this is insufficient to achieve the desired amount of counts, you can additionally increase the number of cycles in your setup. The default setting for mammalian cells is usually 3 x 400 µl (3 cycles to achieve). However, the number of cycles can bet set to 1 to 10 .. So, using 3 cycles to achieve 700 counts, approx. 5-7 cycles should result in optimum results. 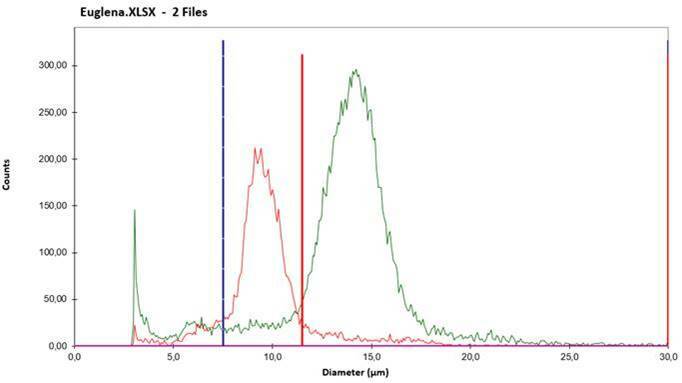 At its maximum setting of 10 x 400 µl, CASY will approximately analyze 40% of sample. Thus, it is possible also with an initial concentration of only 12.750 cells/ml to achieve the minimum recommendation of 1.000 counts. I have a CASY in the laboratory and currently it is used for the determination of total bacterial count in bacterial suspensions. A new strain however, , which was not used in the CASY up to now, expresses many, partly 1 µm long, Fimbriae. Is it known, whether and to what extent Fimbriae influence the measuring results of CASY ? It cannot to excluded, that Fimbriae detach from cells and might also be found in the cell suspension. Above all, we focus on total cell count. Parameters such as cell volume are not further examined. basically the influence of the Fimbriae depends on their composition and properties, acting as an electrical resistance, '. As far as we know, Fimbriae, consist mainly of proteins, they hardly increase the resistance. It is therefore not to be expected, that they disturb the measurements, neither in the detached state. However, aggregations may occur, depending on the bacterium. If you are unsure or watch aggregation with the CASY, we can assisit you to choose the right settings. Is it possible to clean the inner capillary system with 70% ethanol instead of CASY Clean? I am Juan Du who is a postdoc working on microbiota at Karolinska Institutet. I would like to quantify all the bacteria with varies sizes (0.2-8um). The bacteria are in culture medium and moving. I would like to have the total bacteria number. I wonder if CASY system can do this job? From the webpage, it seems it only works on bacteria proliferation, right? with the CASY Cell Counter + Analyzer you are able to count all types of bacteria with a mean cell diameter above 0,7µm. For this type of analysis the CASY system has to be equipped with a 45µm capillary. Be aware that the CASY is measuring all types of particles in the interesting size range. Thus you have to make sure that the media you are using are not contaminated with particles in this size range. To be measured, the sample has to be diluted in CASYton resulting in a measuring concentration in the range between 20 000 and 200 000 counts/ml. I have a process issue relating to the bioprocess line that I manage – we take bovine blood and extract & purify haemoglobin. I am working with my colleagues in QC on this and we looking for a method and/or equipment to test total intact / un-lysed white and red blood cells, and if possible a method to quantify the amount of cell debris. Diagnostic equipment that I have looked into so far cannot differentiate between lysed and unlysed cells. the CASY Cell Counter + Analyzer is measuring cells and particles based on the increase in electrical resistence when passing the measuring pore. The system can quantify all types of bovine blood cells and also cell debris, but not with one single measurement. In a sample of whole blood the amount of white blood cells makes up only 1-2% of all cells. The unlysed white blood cells can only be quantified reliably after an enrichment step. Another possiblity to quantify the white blood cells in samples of whole blood would be the complete lysis of all cells by using a detergent-based lysis reagent. After such a treatment only the cell nuclei of the white blood cell are left and can be counted by the CASY system. Intact read blood cells can be quantified easily. What you get after lysis of the cells depends on the mechanism of the lysis process. If the red blood cells are completely destroyed, only cell debris is left. If you are using a gentle lysis method, it may happen that the haemoglobin gets released, but the Erys form so called “ghosts” having an intact membrane again and cannot be differentiated from unlysed erythrocytes when measured with the CASY system. Cell Debris can be quantified with the CASY system. The size and amount of cell debris you get during cell lysis strongly depends on the type of the lysis process in use. To give you a final answer if the CASY can help you for the quality control of your blood samples we should have more information about sample preparation, on the type of cell lysis you are using and on your needs regarding quality control of your samples. Thus we should know exactly which results you are expecting from the CASY analysis. I’ll contact you by email to discuss further. I wonder If we can connect the CASY TT to the computer installed with Win 7 OS and if there is any specific printer you recommended. Currently we are struggling to connect with printer and computer as well. Wir fragen uns, wie wir das CASY TT mit einem Computer mit Win 7 Betriebssystem verbinden. Empfehlen Sie einen bestimmten Drucker? Zur Zeit gelingt eine Verbindung weder mit Computer noch mit dem Drucker. Check the driver settings: On the PC open “System Preferences” – “Device Manager”. Select “Ports (COM & LPTs),” and check the properties of the USB serial ports. The COM port should be between 1 and 4. If it is higher, choose “Connection Settings” – “Advanced …” and set the COM port to a value of 1 – 4. Now open CASYexcell, choose tab “Setup” and set the COM port of the serial port to the same value. For data reception, open the “Display” tab and select “TT-Import”. Now CASYexcell is waiting for data from CASY (hourglass). Please ensure in the setup of CASY TT, that the serial port is selected for data transfer. Choose between automatic transfer after each measurement or transfer of data manually by pressing the “Print” button on the CASY TT. To stop the import, press the “Esc” key on the PC. Using the “< ", "0", ">” key gives you access to all measurements. Up to 70 measurements can be summarized in a single CASYExcell file..
Printing: CASYexcell uses your Windows default printer, This can therefore be a network printer. If you want to connect a printer directly to CASY TT, We recommend the Lexmark MS310d printer. Hopefully you are now successful. If any problem persist, Please leave a reply! With the current CASYexcell 2.4 should be able to connect to the PC. The software is available free of charge ( -> here). Be sure to use the correct version of MS Excel: All versions of MS Excel higher 2000 are compatible – except for MS Excel 2013 and MS Excel 2010 (64 bit version). Check the driver settings: Calling on the "System settings" - PC "Device Manager". Choose "connections (COM & LPTs)"and calling the features of the USB serial port. The COM port must be between 1 and 4 There are. Is it higher, Select "Connection settings" - "Advanced..." and set the COM port to a value of 1 – 4. Switch now to CASYexcell and set the COM-port of the serial port in the tab "Setup" to the same value. To receive data, choose now, in the "display"-"TT-Import" tab. CASYexcell are now waiting for data from the CASY (Hourglass). Make sure the setup of CASY TT, that again is the serial port for data transfer. Here you can choose automatic transmission after each measurement or you transfer data manually by pressing the "print" button of CASY TT. To stop the import, Press the "ESC" key on the PC. With the keys"< “, „0“, „>"have access to all measurements. Up to 70 Measurements can be in a CASYExcell file. Print: CASYexcell uses your Windows default printer, This can be a network printer. Want to connect directly to the CASY TT printer, We recommend the Lexmark MS310d printer. I hope you are now successful. If there are still problems, Please register! I’m running an Innovatis CASY Excell ver2.3 on an XP laptop which had it’s own serial port and ran MS Excel 2003. That laptop is dying so I’ve tried to install CASY software from the CF card on a new Win7 64bit machine running MS Excel 2010. Card reader is fine. COM port assigned correctly to match setup file but a “Copyright violation” error box pops up. In our group, it always comes back to discussions regarding the use of aggregation correction. The counting sometimes vary by but very strong. Is there a general recommendation, if and when this function is to be used? In some cells occurs when using the correction function to deviations in the result. Why is that? For the aggregation correction, there are three possible operating states: „Off“, "Automatic" or "User Defined Peak Volume". In "Automatic" mode, the cell volume in the maximum of the peak of viable cells is calculated and used as the basis for the aggregation correction. Under certain conditions like low counts, low vitality, broad peak, Multiple Peak, Peak with plateau is difficult to correct automated peak volume determination and can lead to the described variations and deviations. In the mode "User Defined Peak Volume" is for aggregation calculation with the peak volume entered by the user. For this purpose, at least 5 Test samples with a vitality & gt; 90% and more than 2.000 counts manually determine the peak volume and submit it as the average peak volume in the Setup. „Off“ – for suspension cells or mixed populations of different sized cells. "Automatic" - for trypsinized cells with a vitality & gt; 80% and more than 2.000 counts. Here please check, whether the peak shape of the living cells allows the determination of a unique maximum. If not then: "User definded Peak Volume" - for trypsinized cells with a vitality <80% or less than 2.000 counts - or if the peak shape of the living cells it difficult to reliably determine maximum (Doppelpeaks, Shoulder peak, Tray etc.). I hope this helps in your reports. You are also welcome to send me sample data for discussion! We have a CASY with 150 micron capillary and would now like to measure yeast cells. Can we add the 60 micron capillary of our old retired predecessor? The answer to this is indifferent: “yes and no” ... Capillaries are calibrated together with the device. Therefore, the calibration is only valid for the specific pairing. Also, replacement of the 150 micron capillary with another device is not possible. The capillaries are distinguished by unique serial numbers. If equipment is to be retrofitted with additional capillaries or a capillary needs to be replaced, then recalibration of the device with existing and new capillaries is required. This should be carried out in the factory. Please contact us on (casy@ols-bio.de or: +49-421-276-169-0). So, in general it works – we only have to perform the calibration again. In our CASY TT the outer electrode is broken. Is a repair possible? The devices since ca. 2002 have a pluggable external electrode. This can easily (pull down) be removed and replaced. You can do it yourself. Simply request a replacement electrode, by Email or phone: casy@ols-bio.de or: +49-421-276-169-0. In older models (before 2002) a broken electrode unfortunately requires you to send in the CASY. However, as part of the necessary repair we'll equip your device to a pluggable external electrode as in the younger models. Hello, A Casy system,, which am co-using now and then, recently started loosing the liquid above the capillary overnight. In the morning the capillary is only half full. Why is this happening? Is there anything, we can do as a user, to fix the problem ourselves? Thanks in advance!! If the liquid descends only a very small piece and therefore the LED corresponding to the upper limit of the capillary goes off, but the liquid level remains stable, such is perfectly fine and there is no need for action. If the liquid column descends further, this means, that one of the valves is leaking. In most cases, the riser tube empties thru the capillary and the liquid level in the CASYcup is rising. As long as such does only happen very slowly (and only over night) it is still uncritical to the measurement, and there is also a good chance, that the problem is solved by the next weekly cleaning. However, if the liquid empties relatively quickly, it is very critical for the measurement accuracy, since each sample becomes contaminated by the preceeding sample, or in best case, is only diluted with CASYton. You can try, to clean the affected valve with the command "Dry Liquid System" to remove coarse impurities from a valve seat. If you ant to try this, first please rinse the system with distilled water thoroughly. For a detailed description please see section Troubleshooting, subheader "error messages PR-5, PR-6 and PR-8 " in the manual. If neither the weekly cleaning nor the execution of "dry liquid system" solves the problem, the descent of the liquid column is a good indicator for the fact, that the CASY should be serviced urgently. I heard, that there is an option, to save the setups of my CASY TT – without having to manually write down all data. Can you advise about this? Under the heading “Manuals, Training guides & Software” we provides a link to the program called “CASY Setup Management Tool ver. 1.2”. This MS-Excel-based software works on all CASY systems produced after 2002 and helps to backup setups to an external PC. Saved setups can also be reloaded whenever required. Please send us an Email and you will receive a link to download the program from. Over the course of the last several months, our Casy reports more and more frequently air bubbles in the system, evev as we clean the unit every week to schedule. What is the reason? As cell samples generally contain proteins, it is inevitable, that the inner surfaces of the CASY fluidic system become somewhat "sticky" over time. The regular weekly cleaning ensures, that this process is slowed down as much as possible. Nevertheless, it has proven best to, that the fluid-carrying parts of the system every two years, as part of a Maintenance Service be exchanged. Frequent air bubbles are usually a strong indication, that the inner surfaces of the fluidic system are contaminated in a way, that smaller air bubbles collect on there and finally collapse into one larger bubble ascending and causing the error message. I therefore recommend to have a Maintenance Service executed. In by far most cases, the reason is not a real connection problem, but is, that the CASY Measuring Stand -the three silver towers - has been turned off by accident. The test stand does have its own on / off switch on the rear (right hand side). The main switch of CASY Model TTC is on the rear (left hand side) of the CASY-Control Unit - the black housing. Make sure, that the Measuring Stand is always switched ON. Best is to actually never turn it off, because this switch is only really needed for testing technical issues. I have difficulties to reduce the blank count of my CASY (150 microns capillary) , measured with clean CASYton t less than 100 counts / ml? –	Make sure, that your system is cleaned once a week over night with CASYclean (see secton "weekly cleaning" in the manual). –	Leave your CASY at maximum over the weekend filled with CASYclean. Prolonged exposure to CASYclean may form deposits and may release softeners from the aspiration tubes, which again contribute to the formation of deposits. –	Never leave a CASYcup with cells under the capillary for a longer period (more than 10 minutes). –	Never let the capillary / outer electrode run dry for a longer period (5-10 minutes are already critical!!). –	Clean the inner fluidic system using the CLEAN function (CASYton in the system!) . If there will be no measurement for some time (> 30 minutes) always do one CLEAN. –	Have a Maintenance Service performed on your CASY latest after 2 years. –	Make sure, that the CASYton used is always freshly filtered. For sample preparation we recommend to use 10 ml dispenser with attached filter (150 μm capilary: 0,8-2µm Filter / 60 μm capilary: 0,45µm Filter / 45 μm capilary: 0,2µm Filter). Otherwise, the most common error, if a too high blank count is observed, is, that it is incorrectly expected, that the CLEAN function helps to reduce the background count. It is rather the opposite effect (see previous question). Empty the CASYcup showing the high background and fill it with fresh filtered CASYton and measure again. Repeat the process if necessary. a second time. Our technicians have invented a taboo word for this: "Clean-Measure". The second most common error is, that by accident a setup is used, which has a dilution factor programmed, as the real background count will then be multiplied by this factor. The specification <100 Counts / ml applies to a setup without dilution factor and without limiting cursor settings. Best is, if you generate a separate set-up designed only for the blank measurement. Für die Leermessung genügt ein Messvolumen von 1x200µl oder 1x400µl. After the weekly cleaning routine, erors with air bubbles occur more often during the first measurements. Is it possible to avoid this? Such is usually a strong hint, that deposits have formed in the internal fluidic system of the CASY, which have not copmpletely dissolved during the cleaning. Such deposits bind CASYclean (a detergent), which is only released slowly, and this can support the formation of air bubbles. On the long term it only helps to do a maintenance service where all components of the internal fluidic system will be replaced. Because you canot completely avoid deposits in the fluidic system, not even with regular cleaning, we recommend such a maintenance service at intervals of 2 years latest. On the short term it helps, to intensify the rinsing with ultrapure water, before the system is refilled with CASYton. Run 5-10x CLEAN with ultrapure water - or even leave the ultrapure water in the system for 5-10 minutes , and then rinse again with a fresh cup of ultrapure water, before changing again to CASYton. Do I really have to perform one or more CLEAN cycles after each measurement, to the transfer of the sample to minimize sample to? No, you should not do so! The CLEAN cycle is designed to clean the internal fluidic system and does not help you in avoiding sample carry-over. On the contrary, executing the function CLEAN - particularly with systems, that have been out of operation for a longer period of time - may lead to excessive formulation of air bubbles, and there are always a few droplets of liquid pushed back from the "dirty area" into the sample cup. When using 10 ml of sample, the carry-over from sample to sample without additional rinsing, does typically not exceed ca. 1%. As long as you measure comparable samples in a series, with the same cell type, you can ignore the carry-over. If you expect large differences in concentration in your samples or move from one cell type to any other, rinse the outside of the capillary and the measuring electrode by immersing shortly into a CASYcup filled with fresh CASYton. In order to keep the carry-over below 0,1% rel. , you can use such a rinsing cup up to 10x before having to replace the filling solution. .
We strongly recommend to only use the CLEAN function, once you have finished your measurement series and the system will not be used for at least 30 Minutes, or you shut off the system at night. If you make a break, please do exchange the CASYcup with the used rinsing solution against one with fresh fill.